Come party your Friday and Saturday nights away! 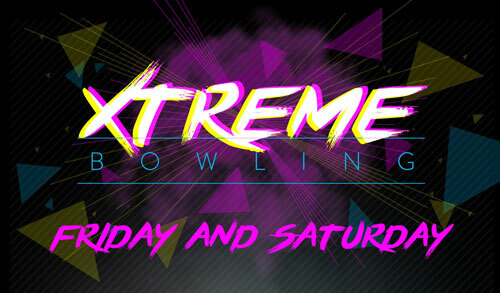 From 7 pm - 1 am on Fridays and 9:30 pm - 1 am on Saturdays you can get 2 hours of bowling, with shoes, for up to 6 people for ONLY $39.95! Enjoy 50% off pizza and a FREE pitcher of soda, too!